I spent the weekend in Seattle. As usual it was a jam packed weekend and I didn’t get too much time with my camera. Here are my favourite shots from downtown and CenturyLink Field. 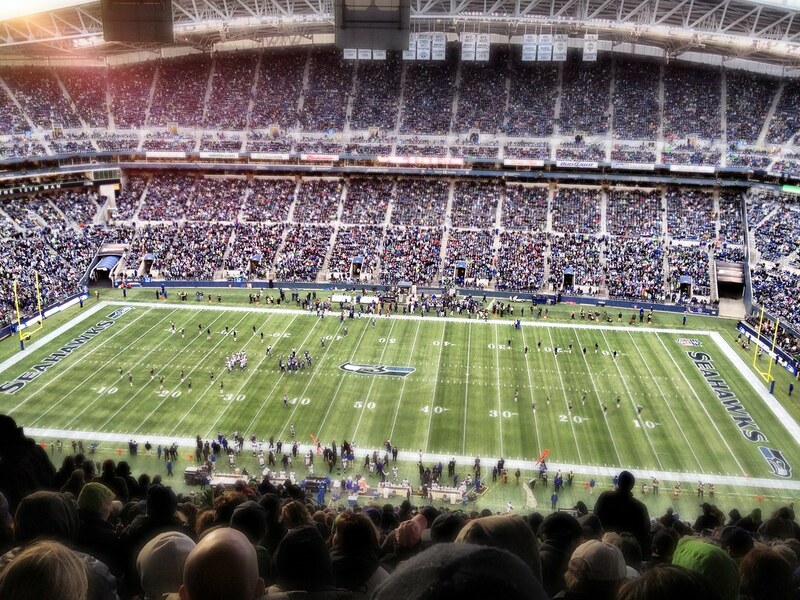 The home of the Seattle Seahawks and another iPhone shot. I watched the Seahawks defeat the Ravens over the weekend. I made some photos with my 7D as well as my iPhone. I settled on this one as my favourite field shot. I liked the extra wide angle I got from the phone. I took some liberties with the Camera+ app, but I think it represents the feeling I experienced there the best.